Japan's capital city is full of iconic neighborhoods that pass from the lips of tourists with practiced familiarity. Although the names of places like Shinjuku and Shibuya might be known the world over, the origins behind them can seem quite mysterious. Let's find out how five of Tokyo's most popular areas were named! 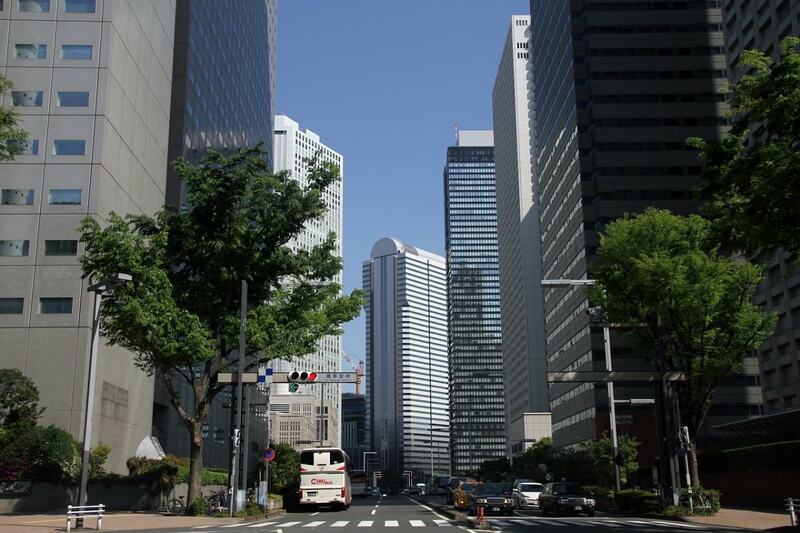 Since the Tokyo Metropolitan Government Office relocated to Shinjuku in 1991, it's become an increasingly central area of Tokyo. Shinjuku bustles with crowds day and night, and the JR Shinjuku Station treats the largest number of passengers in the world! Skyscrapers tower above the Government Office, and visitors can enjoy shopping at prestigious department stores before bar or restaurant hopping in the winding streets of Kabuki-cho, the largest entertainment district in Japan. The spelling of Shinjuku in kanji (Chinese characters) is 新宿. 新 (shin) means "new" and 宿 (juku) is a station town for travelers. In 1603, the Tokugawa shogunate established a new capital in Edo (present-day Tokyo), and five highways from Nihonbashi were designated as " the Five Roads." The Koshu Road was one of the five, and it ran from Nihonbashi to Kofu in Yamanashi Prefecture. When travelers went from Nihonbashi toward Kofu, the first station town on the road was Takaido (now Suginami), and it was too far for pedestrians. The Tokugawa shogunate was keenly aware of the distance, and established a new station town that was closer. 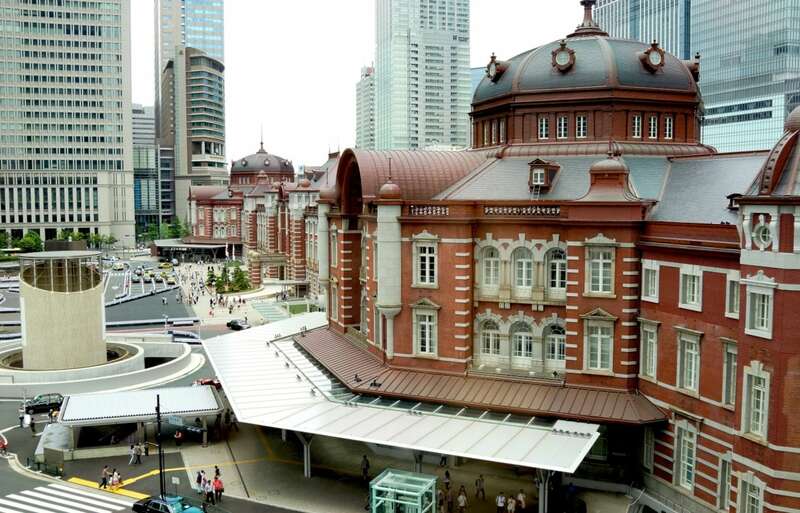 It was literally a new (新・shin) station town (宿・juku) at the halfway point between Nihonbashi and Takaido. Since then, the area has been called Shinjuku. Unlike Shinjuku, Shibuya has no single accepted notion about the origin of its name. There are several theories, however. The kanji for Shibuya is 渋谷. 渋 (shibu) means "uneven" or "rough," and 谷 (ya) means "valley." As the second kanji implies, Shibuya has many sloping roads and terrain like a shallow valley. Indeed, after a day spent walking around its sloped streets, you may well understand how it earned its name. Another theory suggests that it was named after the Shibuya River that once flowed through the area. Ginza is considered one of the most sophisticated areas in Tokyo. Exclusive hotels and stores line the streets, and people flock to Ginza to shop for brand-name items. Ginza is also one of the most expensive areas of Japan in terms of real estate—it would cost about ¥600,000 (about US$5,427) for a piece of land the size of a single postcard. This lavish area's origin comes from a silver-coin mint. In 1612, after the Edo shogunate established the capital, it relocated the silver-coin mint from Sunpu (present-day Shizuoka City) to Edo. The mint was called gin (銀, silver) za (座, seat or to sit) in Japanese, and in an area with bountiful silver, the name stuck. Senso-ji Temple in Asakusa is a must-see spot in Tokyo, and its huge gate has been captured in countless social media snapshots. Asakusa is a great place to enjoy an atmosphere that hearkens back to "the good old days" of Japan, and it's easy to feel the warmth and pride the local residents have for such an historic area. The origin of Asakusa is not known exactly, but the kanji—asa (浅) and kusa (草)—mean "shallow" (浅) and "grass" (草), respectively. One theory suggests that because the area was close to Tokyo Bay, plant life wasn't particularly dense, and so it was called Asakusa. Akihabara is a well-known haven for nerds from all walks of life. The town is positively packed with anime, manga, games, arcades, cafés and electronics. Cosplayers and otaku abound! The bright, neon lights are sure to leave an unforgettable impression in the hearts of all who visit. The name of Akihabara comes from a shrine for the deity Akiba Daigongen that was constructed in 1870, which they hoped would help prevent the spread of fires that plagued the city at the time. People began to call it Akiba Shrine, and the area around the shrine was called Akiba-hara (hara means field in Japanese). In 1890, a railway extended to Akiba-hara and a new station opened—its name was Akihabara and it took root in the minds of Japanese people. The kanji characters of 秋葉原 originally read 秋 (aki) 葉 (ba) 原 (hara), but they can also be read as 秋 (aki) 葉 (ha) 原 (bara). The latter has become common. Strangely enough, the abbreviation of Akihabara is not "Akiha," but "Akiba," just like the original name.